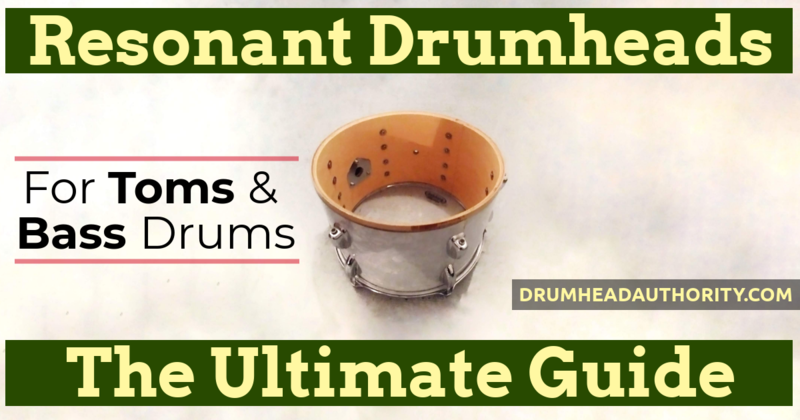 Brand New Article: The Ultimate Guide To Resonant Tom & Bass Drumheads! We’ve just released a massive new article, covering everything you’ve every wanted to know about resonant drumheads for toms and bass drums. You’ll find all of the essential stuff, including what resonant heads actually do, how they work, and why they’re important. You’ll find helpful tips, advice, and information on how to get the best out of your resonant drumheads. We’ve got resonant head tuning tips, critical information on how to pair resonant heads with batter heads, details on when you should change them, and whether you actually need them. If that’s not enough, we’ve also listed every single resonant tom drumhead option available from Aquarian, Evans, and Remo. All of them! We’ve got the more common options, and a few that you probably haven’t considered. Find the best resonant heads for your sound now, in our huge guide to resonant tom and bass drumheads. We haven’t forgotten resonant snare heads either – check out our resonant snare side drumhead guide here!